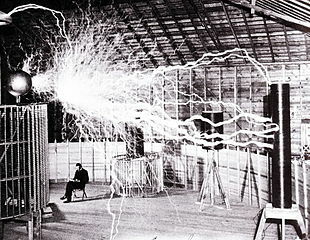 Happy Birthday to Nikola Tesla! 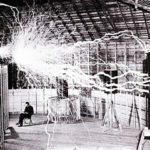 So who was Nikola Tesla and why have you never heard of him? Nikola Tesla was born July 10, 1856, in the region we now know as Croatia. The life of Tesla, his inventions and patents would be a great science study for your children to investigate. He was a famous scientist who later became rather obscure. …and hundreds of other inventions. He was known as a true eccentric to the point of being ridiculed by some of his contemporaries, but was so far ahead of his time that many of his ideas are only now being recognized. When he died, most of Tesla’s technical papers mysteriously disappeared, and many have never been found. You can sign up for our Educating Today Newsletter to learn more about creative research and study skills plus get your free report on ways to build an entrepreneurial family. Love your philosophy on educating children to be producers and teaching them to be curious. My son will be super interested in Mr. Tesla, thanks for this excellent post and the reminder to encourage learning outside the classroom! Thanks for your comment, Minette. The life of Tesla is a really interesting study. He was brilliant, controversial and ahead of his time. I hope your son enjoys learning about him. 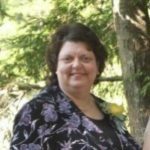 Thanks for this informative article with great links! I had heard of the Tesla coil but didn’t know about the other famous inventions. What a shame his papers were lost–perhaps they will surface some day. Thanks for another great post! Gail, Nikola Tesla is a really interesting study. There’s quite a bit of controversy about him and his experiments and I think he was way ahead of his time. Found your blog through UBC. Love the tagline of your website. 🙂 And thanks for this great article on Tesla. It’s unfortunate that he’s less well-know than Edison. I’ll be reading more of your posts. Thanks for coming by, Nicole. Studying the life of Nikola Tesla is fascinating. Much of what we know about him is controversial, but there is no doubt that he made significant contributions to the scientific community and to the world.